Internal combustion engine or steam engine is used to convert heat energy into mechanical energy. I.C Engine and Steam Engine are types of heat engine but the different classes of machines. You have different ways to obtain the energy. It can be obtained from renewable energy sources such as solar, wind, nuclear, mechanical or heat also. Energy produced by the internal combustion engine or steam can be transformed into one form to another. All engineering concerned better know this fact. There are different methods which can be used for transformation of energy. To use the different transformation methods you have to use different engines. These engines are different in many ways hence here you will find some important differences in between internal combustion engine and steam engine. 01) The combustion of fuel (petrol or diesel), taking place inside the engine cylinder in case of an internal combustion engine. While in steam engine fuel is burnt in a boiler to raise the steam which in turns is used in the engine cylinder. 02) The working temperature and pressure inside the internal combustion engines are much higher than those in the steam engines. 03) Material with better resistance is required for I. C. Engine as there is very high temperature and pressure produce an internal combustion engine compared to a steam engine. 04) Stuffing box glands for connecting rod are avoided in internal combustion engine because this is mostly single acting cylinder engine. In a steam engine, stuffing box glands are required for the piston rod. 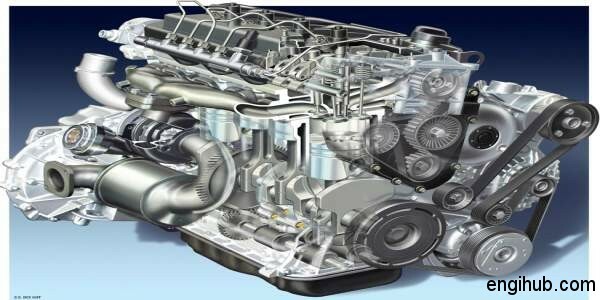 05) The efficiency of an internal combustion engine is as high as 35 to 40 % as compared to that of steam engines. Where steam engine has efficiency is near about 10 to 15%. 01) I. C. Engine can be started instantaneously, in steam engine boiler has to be fired and steam raised before the engine can be started. 02) It has a low weight to power ratio because of its compact design. 03) I. C. Engine has higher efficiency than a steam engine.